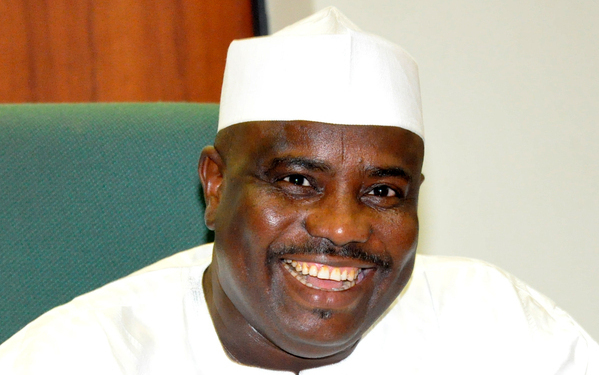 Senior citizens in Sokoto state have rallied behind Governor Aminu Waziri Tambuwal, urging him to seek for re-election as Governor of the North West state. They said their decision is predicated on the need to appreciate the Governor after he settled pensions and arrears to the tune of N4 billion in the last two years. Speaking to reporters during the celebration of the 2017 pensioners’ day, the state chairman of the Nigerian Union of Pensioners (NUP), Alhaji Umaru Abubakar, said despite the current financial crisis, the state government was able to pay accumulated and inherited gratuities and pension to both state and local government retirees to the tune of about N4 billion. He said the Union resolved to purchase nomination form for the Governor in appreciation of his efforts towards uplifting the living standard of pensioners in the state by the payment of their entitlements. “The regular payment of our entitlement, and the payment of our arrears, has made Sokoto as one of the states that gives priority to the welfare of pensioners in the country. “The members of the union have resolved to ask Tambuwal to seek for a second term in view of his commitment to our welfare in Sokoto. “All these were achieved due to the Governor’s faith and belief in the Hadith of the Holy Prophet that admonishes Muslims to pay workers before their sweats dried up,” he added. The chairman also called on all well meaning people of the state to support the state government to ensure its continuity beyond 2019. “This is because of the present administration’s outstanding achievements in the education and health sector,”Abubakar added.